Osteoporosis is a disease that thins and weakens the bones to the point that they become fragile and break easily. Women and men with osteoporosis most often break bones in the hip, spine, and wrist. However, osteoporosis medications, nutrition, exercise, and safety precautions can help reduce the risk. Exercise, which not only improves your bone health but increases muscle strength, coordination and balance. Safety issues to prevent falls that may result in fractures, such as removing loose rugs around your house. In addition, your physician may prescribe a medication to slow or stop bone loss, increase bone density, and reduce your risk of fracture. Bisphosphonates, the most commonly used medications used to treat osteoporosis, decrease the activity of bone-dissolving cells. Throughout your lifetime, old bone is removed and new bone is added to your skeleton. 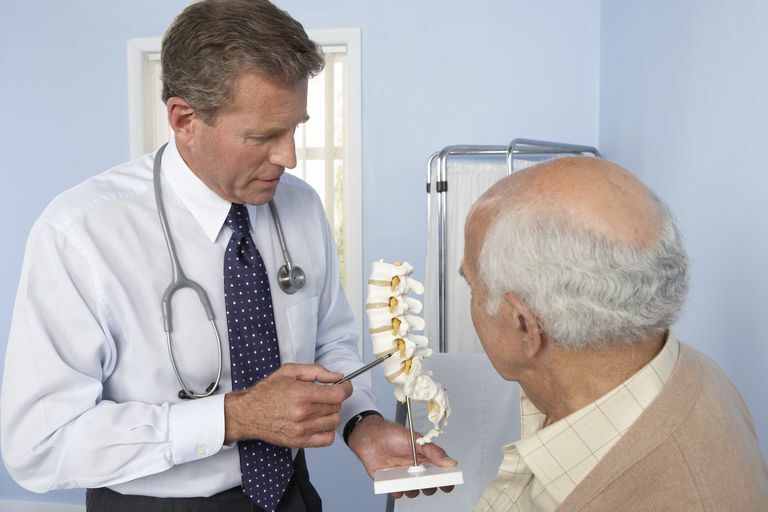 As you get older the breakdown of your bone gets faster – the bisphosphonates slow down that process. Bisphosphonates have been approved by the U.S Food and Drug Administration (FDA) for both the prevention and treatment of osteoporosis for women after menopause and for men. Can increase your bone mass and reduce your chances of spine, hip, and other fractures. Is available in daily, weekly, twice monthly, and once-a-month doses. Can reduce your chances of spine fractures. Boniva does not reduce your chances of hip and other fractures. Is available in a monthly dose and as an intravenous injection given once every three months. Is available in daily and weekly doses. Is available as an intravenous injection given once yearly. Side effects for oral bisphosphonates include gastrointestinal problems such as difficulty swallowing, inflammation of the esophagus and stomach ulcers. Side effects for intravenous bisphosphonates include flu-like symptoms, fever, pain in muscles or joints, and headache. These side effects can occur shortly after receiving an infusion and generally stop within two to three days. There also have been rare reports of osteonecrosis of the jaw and of visual problems in people taking oral and intravenous bisphosphonates. Evista (raloxifene), approved by the FDA for the prevention and treatment of osteoporosis for women after menopause, belongs to a class of drugs called selective estrogen receptor modulators (SERMs). Evista has estrogen-like effects on the skeleton but blocks estrogen effects in the breast and uterus. Evista slows bone loss and reduces your risk of fractures in the spine, but no effect on hip fractures has been seen. Evista can also be used to help prevent breast cancer in women who are at high risk for breast cancer. Evista is taken in pill form once each day. While side effects are not common with Evista, you may experience hot flashes and blood clots in deep veins. Calcitonin, available as brand name Miacalcin and Fortical, is a naturally occurring hormone that helps to regulate calcium levels in your body. In women who are at least five years past menopause, calcitonin slows bone loss, increases spinal bone density, reduces the risk of spinal fractures, and may relieve the pain associated with bone fractures. Calcitonin is available as an injection (given under the skin or into a muscle every day or every other day) or as a daily nasal spray. Injectable calcitonin may cause an allergic reaction and unpleasant side effects including flushing of the face and hands, frequent urination, nausea, and skin rash. The only side effect reported with nasal calcitonin is nasal irritation. Forteo (teriparatide), an injectable form of human parathyroid hormone, is approved for postmenopausal women and men with osteoporosis who are at high risk for having a fracture. Unlike the other drugs used in osteoporosis, Forteo acts by stimulating new bone formation in both the spine and the hip. Given as a daily injection for up to 24 months, it increases bone tissue and bone strength and has been shown to reduce the risk of spine and other fractures. Side effects include nausea, dizziness, and leg cramps. Forteo also has a black box warning from the FDA because of the small possibility that Forteo may increase your risk of developing osteosarcoma, a rare but serious cancer. Because of this risk, you should not use Forteo unless you have osteoporosis and at least one of the following conditions is met: You have already had at least one bone fracture; your doctor has determined that you are at high risk of fractures, or you cannot take or do not respond to other medications for osteoporosis. ET/HT has been shown to reduce bone loss, increase bone density in both the spine and hip, and reduce the risk of spine and hip fractures in postmenopausal women. ET/HT is most commonly given in the form of a pill or skin patch. When estrogen – also known as estrogen therapy or ET – is taken alone, it can increase a woman’s risk of developing cancer of the uterine lining (endometrial cancer). To eliminate this risk, physicians prescribe the hormone progestin – also known as hormone therapy or HT – in combination with estrogen for those women who have not had a hysterectomy. Side effects of ET/HT include vaginal bleeding, breast tenderness, mood disturbances, blood clots in the veins, and gallbladder disease. Because of recent evidence that breast cancer, strokes, blood clots, and heart attacks may be increased in some women who take estrogen, the FDA recommends that you take the lowest effective dose for the shortest period possible. Estrogen should only be considered if you are at significant risk for osteoporosis, and you should consider first taking osteoporosis medications that do not have any estrogen.